Your business relies on more than just printing equipment. From 120 page per minute Sharp production copiers to a small, one person office HP desktop printer, Laser Line can provide all your business laser printing equipment. Your business environment dictates the solutions and options we offer you, including which equipment will best suit your needs. 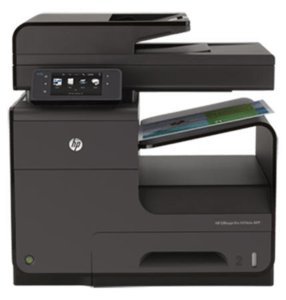 From Sharp and Xerox copier/MFPs to HP black and white laser printers, to Brother desk-top MFP’s. We also provide Canon’s award winning line of desk top scanners and high security Kobra shredders. Replacing your existing printing equipment is NOT the only option you have. That is what some document management companies would have you believe. Right Size Your Fleet: How is your document output fleet structured? Does the number and type of machines you have, as well as where they are located throughout your organization make sense? Reallocate Your Resources: The experts at Laser Line can assist you with redeploying some of your existing equipment in areas where it makes sense. We will always recommend the latest technology to keep your business running at top speed. However, we pride ourselves on our conservative attitude when it comes to machines that still have a lot of life left in them. Technology: We will always show you what’s available but we will never tell you what you SHOULD spend your hard earned money on. We’ll show you what we have. YOU decide what you want. Our mission is to help our customers more effectively and efficiently manage their document output devices through managed print solutions. We are also one of the Mid-Atlantic’s premier printer service providers. Partnering with industry leaders such as SHARP, HP, Xerox, IBM, Canon and others, we are able to deliver basic break-fix repair and supplies to complete printer service outsourcing programs for the entire Mid-Atlantic region, as well as programs covering the lower 48 states.